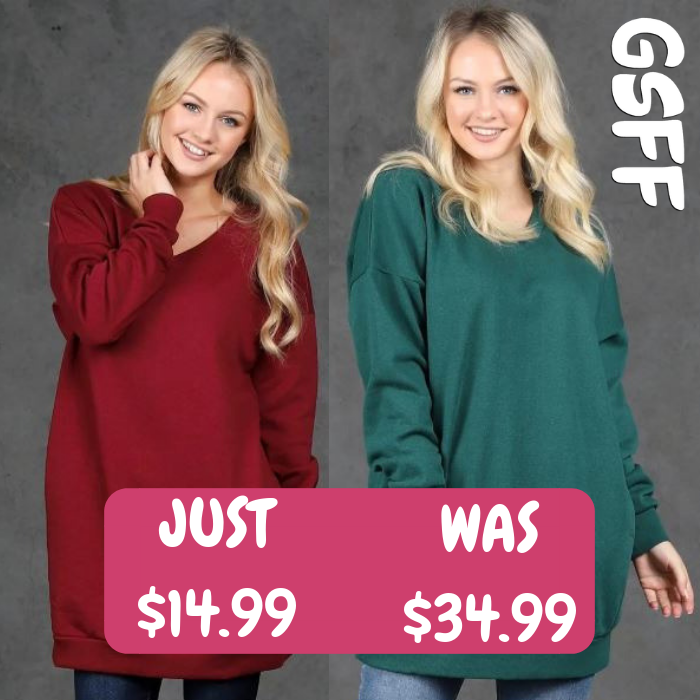 Oversized V-Neck Sweatshirt Just $14.99! Down From $35! You are here: Home / Great Deals / Oversized V-Neck Sweatshirt Just $14.99! Down From $35! At Jane, you can get this Oversized V-Neck Sweatshirt for just $14.99 down from $34.99! Shipping is $4.99 for the first item and $2.99 for each additional item! These tunics are amazing. They’re so soft and pair great with your favorite leggings or jeans. You’ll be set to run errands or just lounge around!